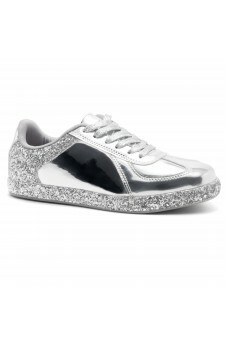 Say it loud and proud in this sassy’s glitter sneaker. City Glitz features round toe, flat heel, glitter details, front lace-up and a lightly padded insole for comfort. Available in Rose Gold and Silver. Love this trendy sneaker! You can get this quality sneaker for a reasonable price. I don\'t do heels..at all. But these sneakers are so fabulous to me! It is so lit because of its glitz-glitter! If you have wide feet, size up if you can. It is so dope to have a glitter sneaker. They are great and I\'ve received lots of compliments when wearing them. Go Go Shoeland! It is perfect, great material and comfortable. 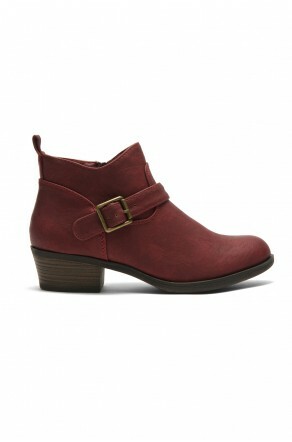 I usually wear a size 7 but ordered a size 7.5 and it is perfect. 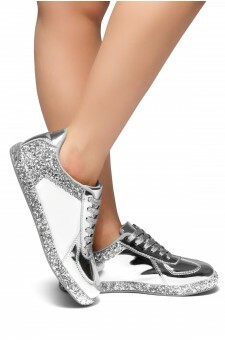 It is attention-seeker kind of sneakers. Oh so silvery styles!